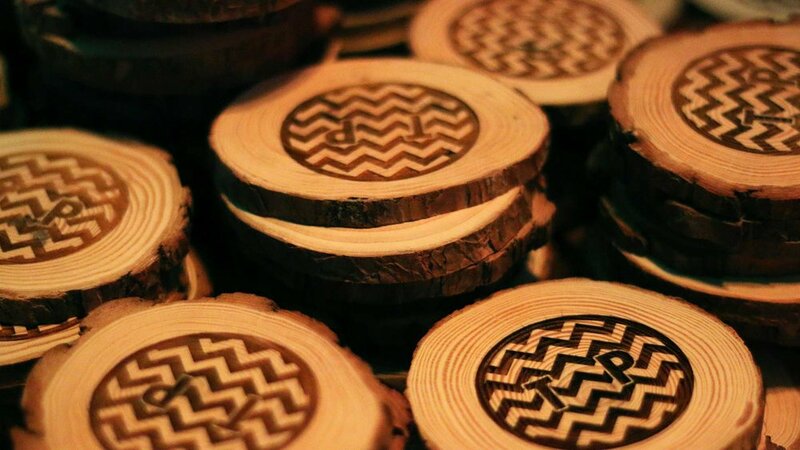 We designed and produced a world premiere party for the new season of David Lynch’s cult classic series, Twin Peaks, released by Showtime. The red-carpet event was a 360-immersive experience for attendees that was innovative, ethereal and memorable. The night began at the Ace Hotel theater in downtown Los Angeles where the highly anticipated return of the series premiered before 1,600 attendees, including: the featured cast, network guests, and the working press. The Ace Hotel box office was capped in a log round wall and branded with Showtime and Twin Peaks’ logos, followed by a step & repeat lined with graphics and an array of foliage. Broadway Ave. was shut down to make way for a real-life logging truck and the parade of guests from the Ace to Clifton’s Republic for the after party. The venue emanated the character of Twin Peaks with a 40-foot-tall sequoia tree and a multi-level clerestory space. Curated moments were found on every floor, including: two 3D builds, an upside-down tree sculpture, a recreation of the Red Room hallways, log lady logs, and multiple take-home customized guest favors.